We also have other jobs available from time to time including cooks, housekeeping and office based jobs. You can view our current vacancies below and click on the ads for more information. In addition to our apprenticeship scheme we have a variety of centre, office and field based job vacancies. Click the link below to see job descriptions for all available jobs. 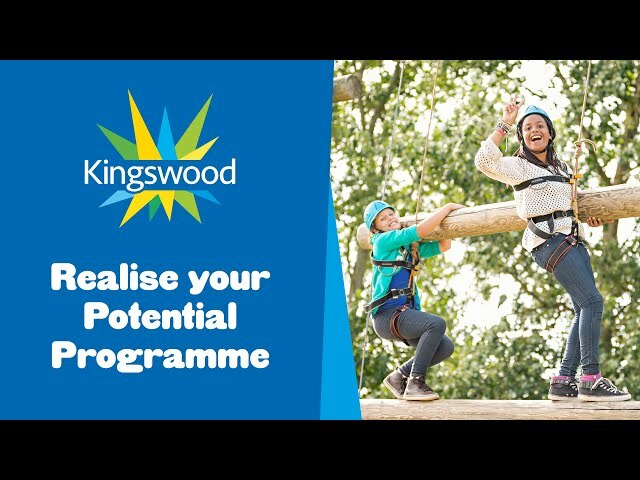 If you're passionate about working in the outdoors, inspiring young people to learn through having fun and helping them to become the best they can be and want the chance to work towards recognised outdoor industry qualifications, then Kingswood could be the place for you! Each year we recruit over 300 enthusiastic Apprentice Activity Leaders to work at our educational activities centres, we train our Activity Leaders to deliver a huge range of outdoor and classroom based activities to thousands of school groups that visit our centres throughout the year. As an Apprentice Activity Leader you will introduce guests to a range of adventure activities that meet the groups learning outcomes and could include abseiling, archery, climbing, fencing, go karts, quad biking, low ropes, high ropes, team building, problem solving or watersports. Our Apprentice Activity Leader programme is the perfect starting point for you if you’re considering a career in the outdoor, leisure or education industries. Not only will you gain invaluable experience that will equip you for your future career but you will also achieve an Apprenticeship in Activity Leadership including externally recognised qualifications, in house training and an NVQ Level 3 in Outdoor Activity Instructing. We sponsor you to achieve these qualifications and you will also be paid a monthly apprentice training salary and be provided with subsidised accommodation and an optional food scheme. Government funded residential apprenticeships are available for applicants who are 18+, plus we are also offering seasonal summer camp coach positions and fixed term contracts. We operate at nine fantastic activity centres in the UK and one in France - each set in stunning locations close to Areas of Outstanding Natural Beauty and Sites of Special Scientific Interest. At these centres we welcome 5 to 17 year olds from schools and groups year-round for a range of exciting outdoor programmes packed with challenging and high-adrenaline activities and during the Ester and Summer holidays we welcome 8-17 year olds from all over the world to Kingswood Camps. Many of our roles require you to be flexible to work at any of our centres with opportunities to travel between centres. From time to time we also have vacancies at our offices in Brighton and Norwich. To view all of our current vacancies and apply for a job please click on the link below. Accommodation varies dependant on the centre from larger student halls type of residences to smaller houses. Accommodation is either centre-based or close by. There are staff common rooms with TV and other amenities to help you relax at the end of the day. Rooms are furnished and you will be required to share a room with colleagues. All of our centres have dining halls and should you choose to opt-in to our optional food scheme we will provide you with 3 meals a day, 7 days a week for a minimal charge. All of our centres have dining halls and should you choose to opt-in to our optional food scheme we will provide you with 3 meals a day, 7 days a week for a minimal charge. These offer vegetarian options and cater for specific dietary needs. Kingswood will provide you with a uniform suitable for wet and dry weather. As an organisation, it is important that we maintain high staff and safety standards. Upon joining us, all employees receive an employee handbook that details the do’s and don’ts of life at Kingswood as well as our HR systems and procedures. All staff will also receive a formal contract to sign and performance appraisals and session observations are held throughout the year. Each centre has a close down period around the Christmas months and how long this is depends upon each centre and their bookings. This is a great time to head home for Christmas, re-charge your batteries and catch up with your family and friends before returning to us refreshed in January.